Outdoor tiles are excellent for decorating the garden, patio or around the exterior of the house, around the swimming pool and of course many other areas. They help create character, enhance the colour and design scheme and complement outside fixtures. Outdoor tiles help create a mood, organise an otherwise cluttered space and create visual focus, regardless of the size of the area. Outdoor tiles can vary greatly, while some are made to be sturdy and withstand a great deal of exposure from UV, rain and other elements, common varieties such as limestone and bluestone are naturally very porous and will require sealing. Tiles that are constructed to withstand the elements will also require some protection on your part. Over time, it's common for outdoor tiles to suffer from a wide range of different problems, including staining, cracking and more. By sealing your outdoor tile you protect your tiles against damage and extend their life. Outdoor tiles are exposed to weather and the elements, it is therefore important to determine whether the type of tile you have outside is a tile that requires sealing or not. 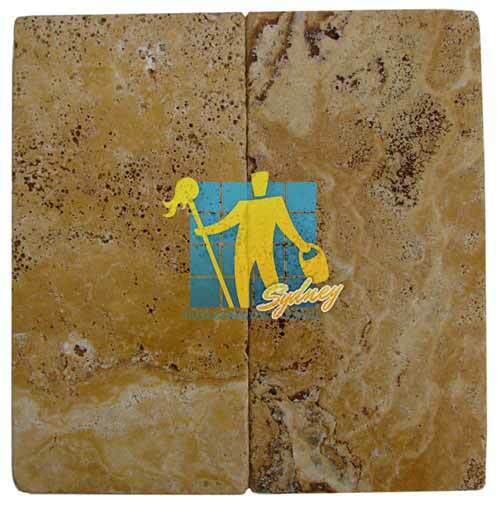 In general all porous tiles do require sealing, especially outdoor stone tiles. It is also important to determine which type of sealer you will be using on your outdoor tiles as different sealers can be used on outdoor tiles and different sealers are required for different types of tile. Tile Cleaners Sydney® always recommend consulting a professional even if you have decided to do it yourself as using the wrong type of sealer can mean the sealer will start to wear off within a few weeks of application which will require further work to remove and reapply again correctly, wasting your precious time and money. Water based sealers and solvent-based sealer's can both be used on outdoor tiles, however unless absolutely required for a specific reason we always recommend applying a water based sealer that is UV resistant and won't alter the slip resistance of your outdoor surfaces. Water based sealers do not produce dangerous fumes on application and removal, are a lot easier to apply and remove and also require less drying time. It is however important to know which type of water based sealer to use on your outdoor tiles as most water based sealers will not last long outside as they are designed for internal use, so it is important to use a water based sealer that is specifically designed for outside use. You should always ensure that your tiles themselves are completely clean before you attempt to seal the tile. This will protect the appearance of the tile and help to ensure there won't be any dirt or other debris caught under the layer of sealant. 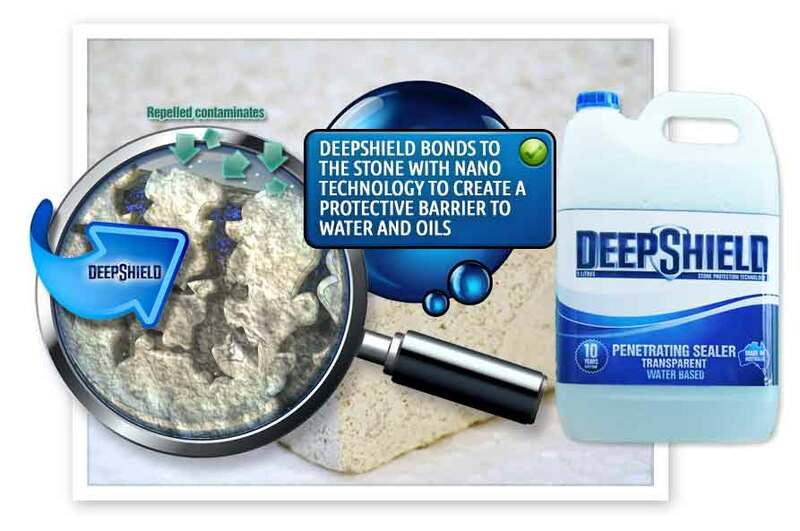 Penetrating sealers work by absorbing into the substrate and protecting from within. They deposit either a natural or synthetic resin into the pores of the tile and once the sealer is applied, the water or solvent evaporates leaving the resin within the stone which then hardens to form an invisible protecting barrier that prevents the stone from absorbing unwanted matter. 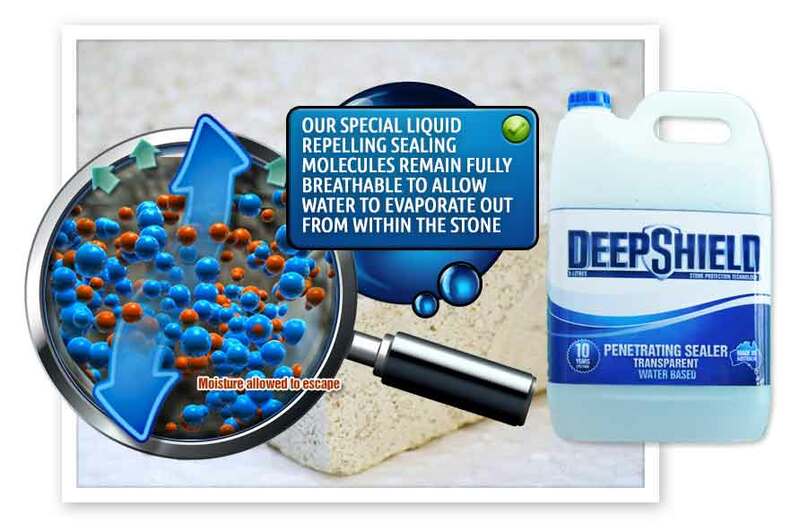 The major benefit of penetrating sealers is that they allow the stone or tile to breathe and will never peel or scratch. 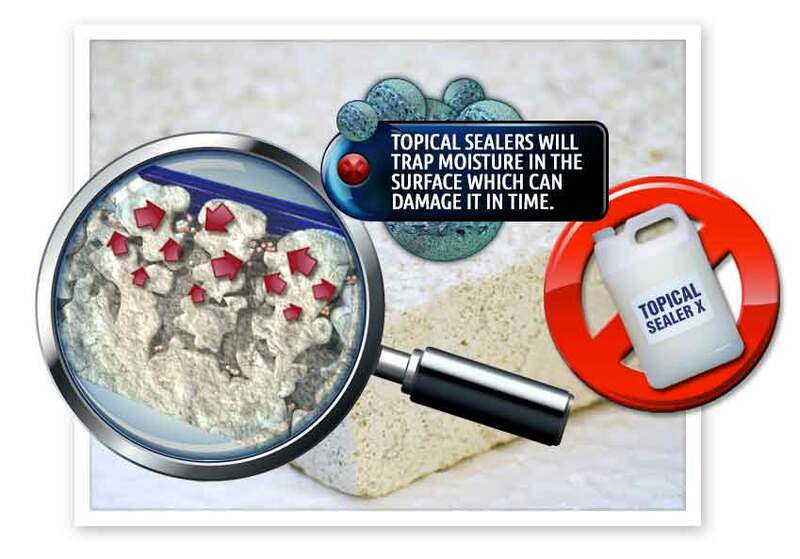 Film Forming or Topical Sealers. Solvent based products are more difficult to apply and can create major problems when applied incorrectly as they are very hard to remove. 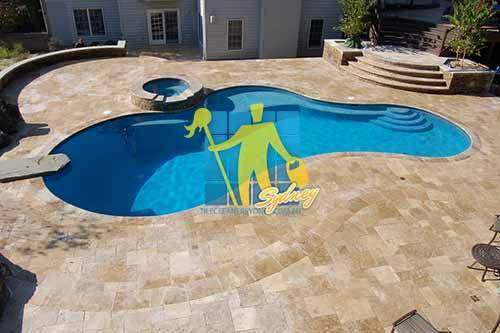 Tile Cleaners Sydney® recommend our clients apply a long lasting water based sealer to their outdoor tiles. Topical sealer's (glossy plastic coating over the top of the tiles) are still used on outdoor tiles but these older style sealers can trap moisture in the stone and make the surface slippery when wet. 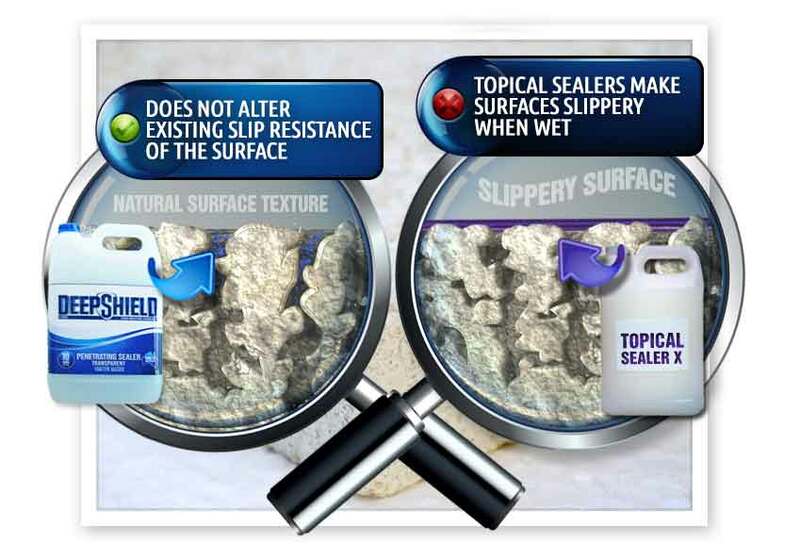 When a topical sealer wears in higher traffic areas, the entire surface usually needs to be stripped and re-sealed. Tile Cleaners Sydney® provide effective anti-slip treatment for surfaces that become slippery when wet or have become slippery through frequent wear and tear, increasing safety around your home and business. Tile Cleaners Sydney® anti-slip treatment is not a coating, therefore, once the floor substrate has been treated no curing time or drying time is required. The floor can be walked on immediately following application, without the risk of slipping, reducing any downtime and preventing you from having to close your business. When your tiles begin to appear dull and start to stain easily, that usually means your previous sealer is wearing off and your tiles are in danger of permanent damage. Tile Cleaners Sydney® strip/remove all necessary old sealer from your tiles, restoring their natural fresh look using our state of the art cleaning machinery. Tile Cleaners Sydney® provides outdoor tile sealing & outdoor tile stripping and sealing services and our team is equipped with the latest & best products and equipment. No matter where your outdoor tiles are, Tile Cleaners Sydney® will strip, clean and professionally reseal them for you. Call now on 02 9386 5522 for more information. To schedule your appointment or to obtain a free estimate, Call 02 9386 5522 today or use our online enquiry form.